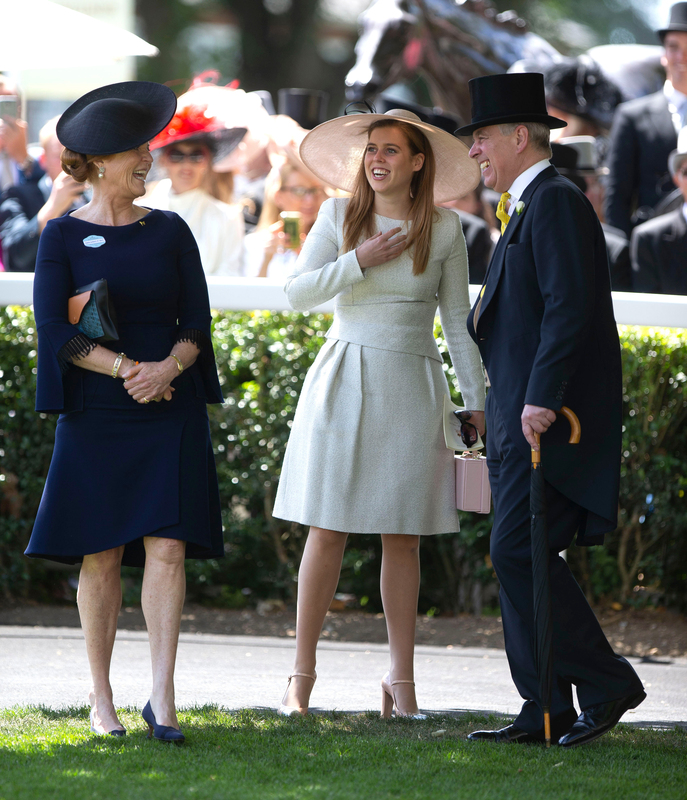 Sarah Ferguson, Duchess of York, has opened up in a rare TV interview with BBC's The One Show, shedding light on her relationship with Prince Andrew and how the family is preparing for daughter Eugenie's wedding to her fiance Jack Brooksbank. The Duchess, speaking to hosts Alex Jones and Michael Ball, was discussing Jack and Eugenie’s upcoming 12th October nuptials – when she reflected on her and Andrew’s own relationship. When asked if she’d given Jack any advice about entering into the royal family, Sarah Ferguson revealed that when she and Andrew married, and to this day, they have always shared a positive mantra for life. Fergie went on to suggest that like her parents, Eugenie, and Jack, appear to share similar values. She confessed, “The thing about Andrew and I is that we go with our hearts. We go with the family unity, we really believe in that. And you can see that. The Duchess of York went on to share a sweet insight into life in the York family – revealing that the foursome often joke with Jack for sharing his name with their family dog. She revealed, “This is where Andrew is brilliant, you see, because he says ‘Jack! Get off that chair!’. Sarah and Andrew, despite divorcing in 1996, still enjoy a very close bond. The former couple often speak about their close relationship, as they continue to bring up their two daughters, Beatrice and Eugenie. During the interview, Sarah also spoke about the possibility of the family growing. The Duchess also shed some light on how plans for the big royal wedding are going – revealing that her daughter has everything under control. The Duchess of York went on to reveal that she’s been so busy with her ‘mother of the bride’ duties that she actually hasn’t had time to find an outfit for the big day yet. And when asked whether she thinks she’ll be emotional on her daughter’s special day, Sarah confessed that she may shed a few tears.